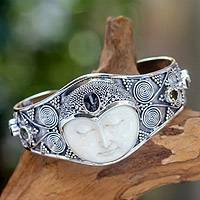 Sterling Silver and Cow Bone Cuff Bracelet, "Moon Goddess"
A luminous face centers a cuff, its delicate features carved by hand from smooth bone. 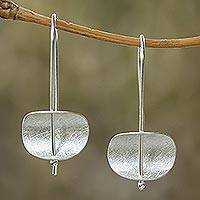 Surrounded by sterling silver ropes, it radiates serenity. 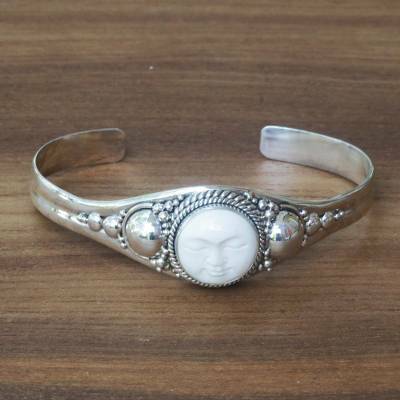 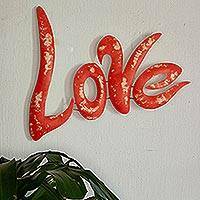 Sukartini creates a peaceful design of exceptional beauty, transformed into a handcrafted bracelet.